Career Development Plan - Too Late to Train in Ballet? Is it too late to train in ballet? I'm 16 and I want to start getting back into dance by training in ballet. I never seriously had any experience in ballet. I want to improve my skills and have more experience for my dance career. So is it too late and I have no idea where to go for training, I live in Fort Lauderdale. It is crucial to follow the right steps if you want to become a professional dancer. Follow the personal development plan which are the gradual stages to becoming a professional dancer. Striving professional dancers commit to training at vocational dance schools. These schools are located around the world and offer training for young aspiring dancers from the early age of 11 right up until they are 18. For a dance career, dancers need a supportive and serious teacher to train them along with an incredible work ethic and self-motivation. It highly depends on your self-motivation to how you succeed in becoming a professional dancer. 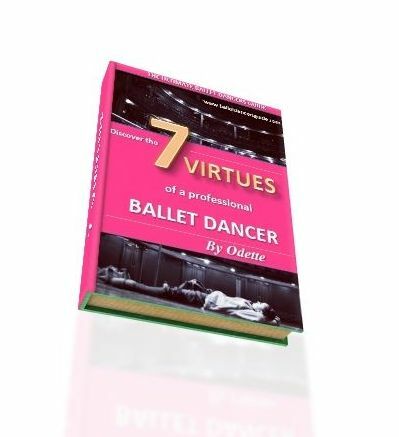 The Seven Secrets, on the 'Seven Secrets of Ballet' page, will give you the key answers of how to thrive in the dance world. Ballet has a very demanding technique that if you don't undertake serious training from an adequate age, it can prove harder to pursue a career in ballet. However, it would be absolutely great for you to use ballet as a basis to get you back into dance training for other styles. Ballet is the foundation of many other dance styles so by doing ballet will definitely help with other forms of dance. It is most beneficial to study a variety of styles dance styles including ballet, contemporary, jazz or musical theatre. Having a diverse ability of dance skills will open more options for you in terms of becoming a professional dancer.